Facebook’s platform strategy is finally coming to fruition as it builds ad buying into the free analytics tool it offers app developers. The old Facebook iOS share extension looked like a normal iOS share sheet, lacking buttons for tagging friends or adding feelings or activities. The new Facebook iOS share sheet includes those buttons and a more accurate preview of what your post will look like on Facebook. Previously, Facebook’s API-based iOS sharing tool needed you to be logged in to Facebook through the app you were sharing from. Now Facebook is pushing developers towards the new share sheet above, which just borrows the login token from its main app on your phone and passes it over to the app you’re sharing from. For example, if you’re using an app but haven’t connected your Facebook account, you can hit the Facebook share button and immediately post back to the social network without typing in your password. VP of Platform Deb Liu opened the day saying “When you put people first, you build better products.” She told the crowd that there are now 7200 startups in the FbStart program. That gives the startups access to free trials of development tools from 32 partners, including new ones like Animoto, Coursera, Dropbox, Reverie, Twilio, Twin Prime, and VerbalizeIt. FbStart has now given out $250 million-worth of dev tool credits. 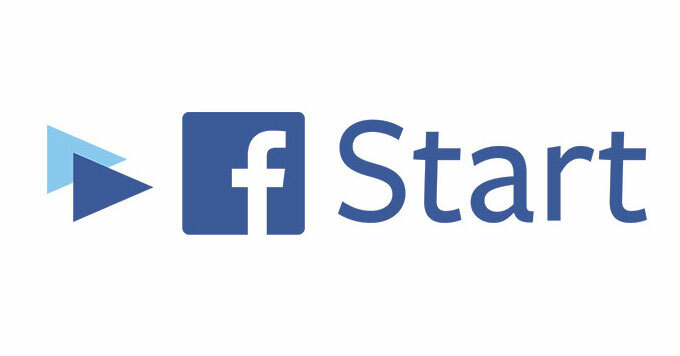 FbStart launched at Facebook’s f8 conference in April 2014. The strategy here is that if Facebook can build relationships with startups by giving out dev tool credits. Startups don’t have to have a Facebook integration to join FbStart, but being in the program probably heightens the likelihood that they’ll build Facebook integrations into their apps that feed Facebook content and data. Meanwhile, the tool-makers who subsidize the free credits are generating leads. When the free trials end, they hope these startups will become paying customers. Facebook also has produced remarkable momentum for its “Facebook Analytics For Apps” tool that lets developers track specific occurrences like clicks of different features in their app. The lightweight free alternative to the expensive competitor Mixpanel just launched seven months ago at F8, and there are already 200,000 apps using it. You could call it Google Analytics for mobile apps. Today, Analytics For Apps added a bunch of new features including the ability to target an app’s biggest spenders with Facebook Custom Audiences ads. Using these ads to re-engage whales that have stopped using an app could earn developers tons of revenue. Devs can also now target ads to non-users with similar characteristics of their top spenders to spear more whales. 1000 in-app events can now be tracked in Analytics, up from 300, and developers can receive an emailed analytics report of the most important insights. Again, Facebook is giving away services others charge for to build tighter bonds with the developer community. That’s important because about 5 years ago during the height of its web games platform, Facebook pissed off a lot of devs by rapidly changing functionality and reducing virality without warning. And now Facebook is explicitly using Analytics For Apps to drive ad spending. The new strategy seems to be working. Getting more developers and apps connected to Facebook creates content, data, and distribution for the social network, and could lead to the startup buying Facebook ads to grow the app they just built. The whole “Build, Grow, Monetize” slogan Facebook trots out isn’t just some hollow buzzwords. It’s actually a chain of Facebook products it leads developers through to help them build apps that contribute content to Facebook, pay Facebook for ads to gain users, and then reinvest the money they earn in more Facebook ads.